Inspiration: is the act or power of exercising an elevating or stimulating influence upon the intellect or emotions; the result of such influence which quickens or stimulates; as, the inspiration of occasion, of art, etc. Prāṇāyāma (Sanskrit: प्राणायाम prāṇāyāma) is a Sanskrit word alternatively translated as "extension of the prāṇa (breath or life force)" or "breath control." The word is composed from two Sanskrit words: prana meaning life force (noted particularly as the breath), and either yama (to restrain or control the prana, implying a set of breathing techniques where the breath is intentionally altered in order to produce specific results) or the negative form ayāma, meaning to extend or draw out (as in extension of the life force). It is a yogic discipline with origins in ancient India. In meditation we seek the vibration known as God and we listen for the inaudible but audible sound current emanating from the black holes and star systems mainly Sirius. (AUM) meditation was the first medicine, note the two root words: Medi. When the response is made to the spiritual call on the physical plane, it is called Jamming. 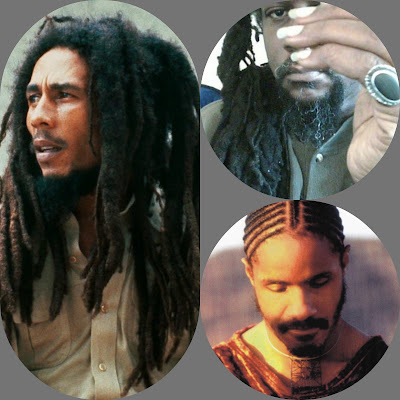 Here we will reveal another level of the prophetic side of the nature of Bob Marley as reveled through his word sound (music) will be doing this for a while in my videos dedicating some time to the revelation of the prophet. This video is the first one in this series it is the beginning. 30 And Jacob called the name of the place Peniel: for I have seen God face to face and my life is preserved.